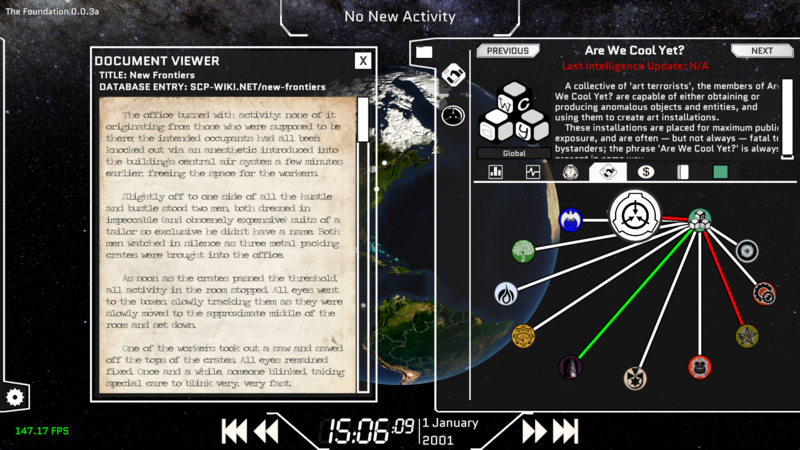 Inspired by XCOM and a legion of brilliant authors this game puts you in the shoes of the newly appointed Overseer of the SCP Foundation an extraterritoral organization charged to secure anomalous artifacts around the world, contain public knowledge, and protect the world's existence from the hazards these items possess. You must Secure. Find anomalous events and SCP entities. Customize your armed forces and research powerful new technologies. Dispatch task forces to lock down and retrieve it. Fight off others interested in the same prize. You must Contain. Suppress public knowledge of the events. Recruit governments, agents, and organizations to fund and support your goals. You must Protect. Build bases and secure areas to store anomalous items. Stop the spread of anomalous effects. Beware of dangerous containment breaches. As time passes the beginning hastens the end. Something nearly destroyed the Foundation once. It won't make the same mistake again. 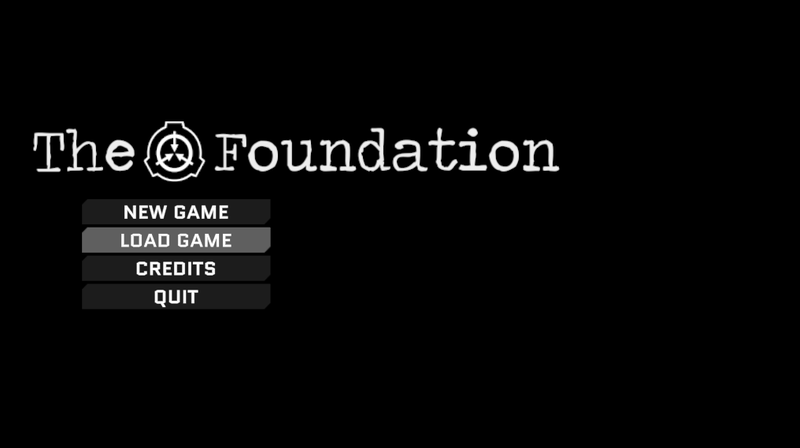 The first prototype release of The Foundation is available. As it is a prototype it has very few features at the moment, however it should allow for the generation of valuable hands-on feedback at an early stage of development. This won't be the only prototype that will be released either. As big pieces of functionality are released new prototypes will be released. 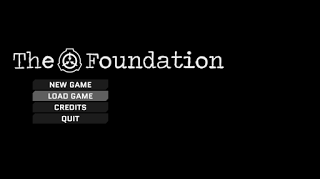 This should allow for The Foundation to be guided by the community during the entire development process. Feel free to report any bugs you find as well. All bugs and feedback should go through the IndieDB forums if possible, but I will try and keep up with feedback wherever I receive it. An updated list of bugs will be kept on the IndieDB forum as well. I discuss the Black Queen which turns into a conversation about persons of interest. Afterwards I briefly discuss some less complicated GoIs. I talk about Nobody in particular. Also other GoI implementation details such as Oneroi Collective and Prometheus Labs. hey, still going strong? i had this idea in the back of my head and was delighted to see it was a thing! hope it's not dead. do you plan a steam release when its done? This is one of those concepts I have always dreamed about. I love this game. Woah, this game seriously looks awesome. I'm looking forward to future updates, definitely keeping an eye on this. Still alive,when should 4.0 start? This game looks AMAZING! Love the concept. Can't wait for the official release! This game looks great! I cant wait for the official release! That game looks incredibly promising! However, I struggle to understand how it works... It looks like I can't really do anything about anomalies... Is it normal? I added a video to a @YouTube playlist Youtu.be Where have I been?